Seaside Oregon is one of the more popular beaches alone the Oregon coast. Beginning in 2005, on the first Saturday of each month the art galleries, restaurants, and shops of Seaside have welcomed artists, authors, and musicians. From 5 to 8 pm participating businesses provide space for the artists and goodies for the visitors. You can get a map of the walk at participating businesses, the Seaside Visitors Bureau, the Chamber of Commerce, or download one from the internet. Why not come on Friday night and enjoy the area and return home on Sunday? There are dozens of hotels/motels, condo and lodges, Bed and Breakfasts, and vacation home rentals depending on your preferences. Be sure to make a reservation, since this popular area can sometimes be booked up. 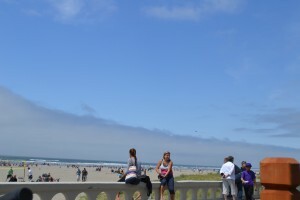 The promenade along the beach in Seaside is unique on the Oregon Coast. 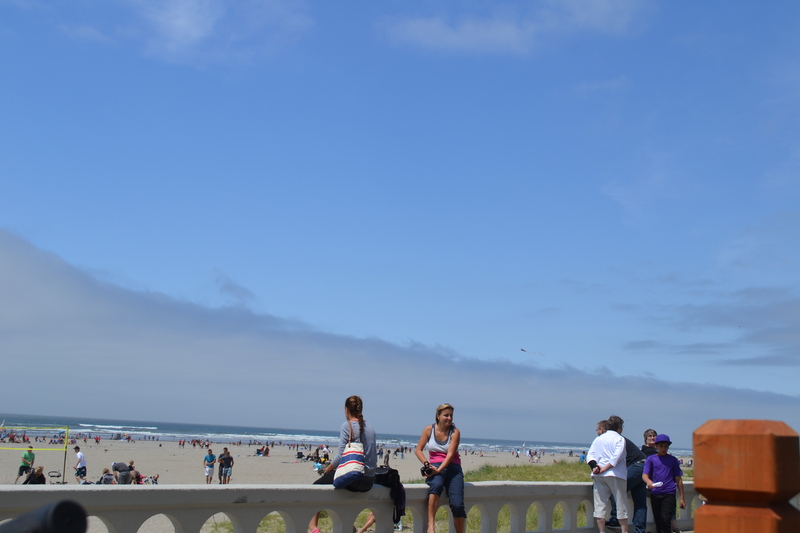 Walking along the promenade you will see beautiful views of the ocean and Tillamook Head. There is a circle for cars to turn around at about the center of the promenade that has a bronze statue of Meriwether Lewis, William Clark, and Seaman in the center. 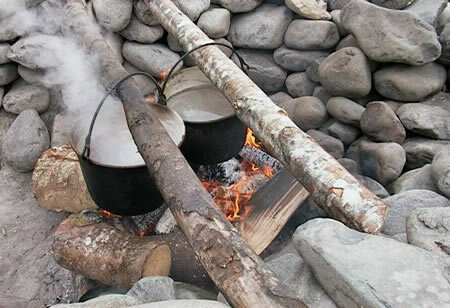 History buffs will enjoy visiting the Saltworks, a National Historic Site where Lewis and Clark made salt. The oven that they used is still there. The Butterfield Cottage was built as a beach house for a jeweler from Portland in 1893. It was occupied as a home until 1958 when it became a millinery shop. It became a museum in 1984. Currently it is decorated to represent what it might have looked like in 1912. Seaside Aquarium is a delightful place to spend some time. As you approach the building you are greeted by the skeleton of 35-foot skeleton of a Gray Whale. Inside the main attraction are the ten seals that make their home here. The oldest of the seals was born in 1983! The youngest was born in 2011. Children in particular enjoy the seals enthusiasm as the splash and bark in hopes of getting a piece of fish. The aquarium also includes a touching pool and other exhibits. If you make it to the beach, you’ll discover that this is a wonderful place to fly a kite. The coastal winds make this a great place for kite flying, even if you’ve never tried it before. Seaside is one of the best places on the Oregon and Washington Coasts for surfing. All the gear you might need is for rent nearby. 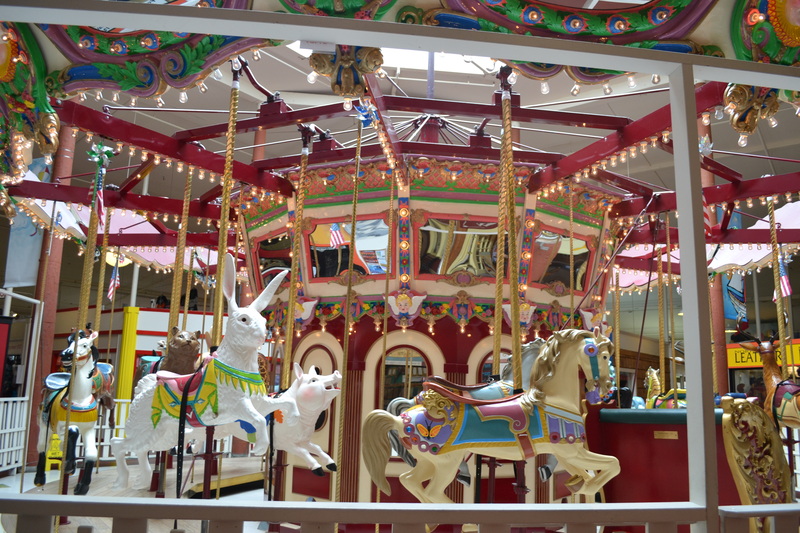 Visit the Carousel Mall and ride one, or several, of the animals on the carousel. 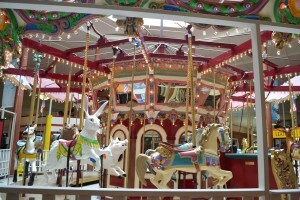 The animals are replicas of the animals at the San Francisco Carousel Museum. Among the favorites are a seahorse, a rabbit, a pink ostrich, and of course a pony. 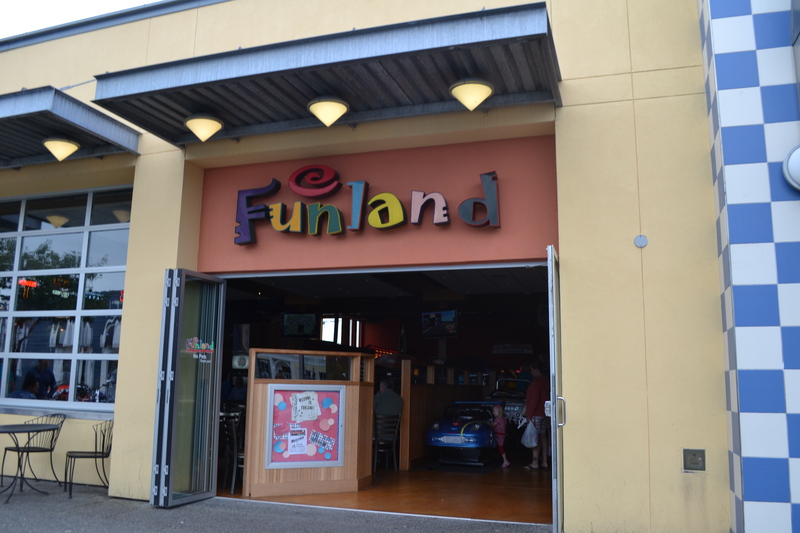 Funland is a great arcade for the kids to enjoy playing a few video games or rolling a few rounds of skeeball for tickets and prizes. As you can see, there is a lot to do in Seaside. You could not begin to do it all in only a day, or even a weekend.